Not only did Edison distinguish himself through his technical acumen and limitless perseverance, but as this quote suggests he also possessed rare commonsense and a willingness to step into his customer’s shoes. Many of his contemporariesarguably blessed with greater technical genius, failed to achieve comparable market success throughout their lifetimes. Many companies and organizations still struggle to align their products and services with the needs of their external or internal customers. Not being an Edison, how can we develop a sense of what our customers want and translate that to adoption and sales of our products and services? Wouldn’t it be great to have a special kind of mirror that not only shows us how we ‘look’ to a customer, but that also tells us how we make them feel? One such mirror is called a Customer Journey Map. It is a visual or graphical way of recording how a customer interacts with us and the responses evoked by that interaction. But why not just focus directly on streamlining each department’s internal processes to make them more efficient? So, think of a time when you tried to resolve a billing error on a product or service you purchased. How was the experience? Were you passed from person to person or voice prompt to voice prompt till you finally got the error corrected? Did you wish the company could see what they were putting you through? 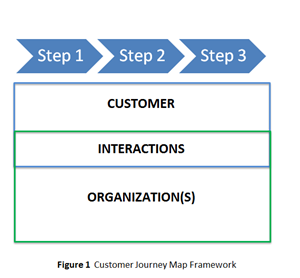 Customer journeys maps are a way to highlight what clients perceive to be value, and how they would like it delivered. These maps can show us where and how to direct our efforts. Powerful six sigma techniques like Value Stream Mapping require identifying what is considered value by clients. 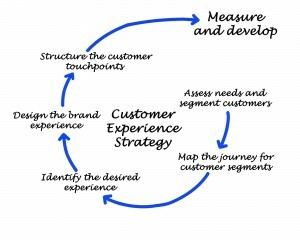 Customer journey maps help define this value and even lead us to the right value streams to consider from a customer perspective. 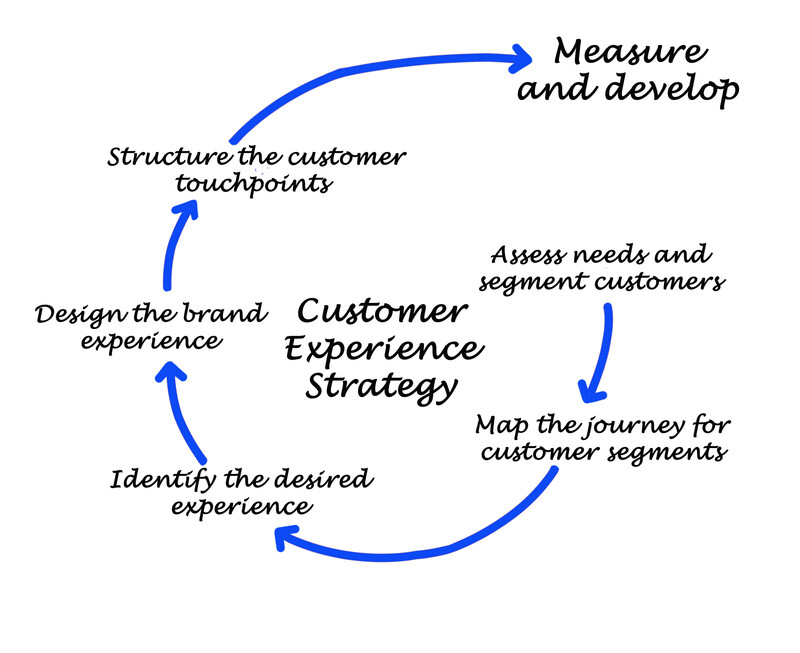 So what do we need to put together a customer journey map and how do we assemble it? How or at what touchpoints this interaction incurs. Identify what outcome the customer wants, the actions he/she must perform, and how the process makes him/her feel. 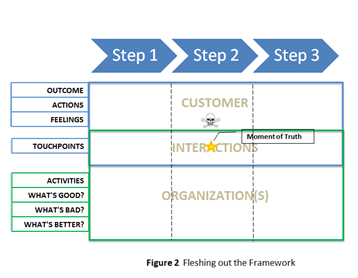 Break out the interactions into the specific way or touchpoint in which the customer interacts with the organization. Look for touchpoints that can evoke such strong feelings that they either cement or break the relationship with a customer. These are called Moments of Truth. Remember the example of trying to resolve a billing error? Was there a point when you felt you no longer wanted to give this company your business? Define the activity/activities the organization performs to enable the customer to complete a particular step. What is good about each activity, what is bad, and what could be better? Crafting an effective customer journey map is a collaborative exercise that pulls together clients and the various parts of the organization that support the journey. If customers cannot personally participate, input from interviews, surveys, prior calls, complaints, suggestions, system logs, etc., can help build the customer perspective. The purpose of the map is to provide an easily understood, holistic view of the customer experience. It promotes dialog and cooperation between the relevant parts of an organization in order to provide a superior product or service to the customer. It aims to align organizations with their customers and break down internal silos that detract from the customer experience. A Customer Journey Map is not a panacea to all that ails a company, but it does help us grasp what constitutes ‘value’ to our customers so that we don’t wind up ‘inventing something that does not sell’. Group50’s® Digital and Information Technology Practice, headed by Shirish Néné offers guided workshops for you to craft your own Customer Journey Maps that highlight ways to align IT, Business, Customer needs, and streamline operations for a superior customer experience. We show you how to effectively frame the scope and perspective of the mapping effort. Our approach draws on a set of techniques that encourage open and flexible participation while preserving the essential facets of alignment. For more information call a Group50 Digital Transformation expert today at (909)-949-9083 or drop us a line at info@group50.com.